Our intrepid reporter/carguy Dan Scanlan travels to the ‘cradle of civilization’ to uncover a treasure trove of antiques, classics and modern sports cars…hiding in plain sight. 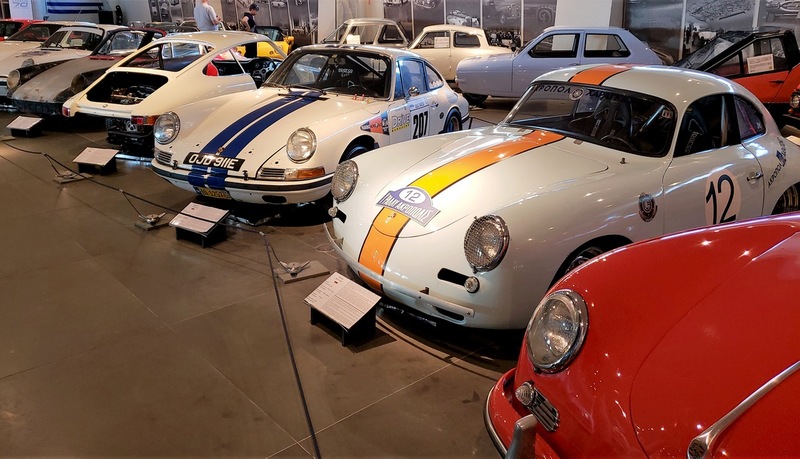 Surrounded by relics of Greece’s s ancient civilization, the curved tower Hellenic Motor Museum is one of Athen’s modern attractions. 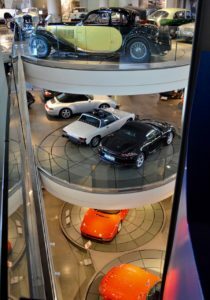 Founded by real estate developer Theodore N. Charagionis, the three-story museum is accessed by a spiral ramp that begins with the history of wheels, from ancient wooden chariots and carts leading up to modern Fuchs alloys from a Porsche 911 and a Formula 1 driving simulator. 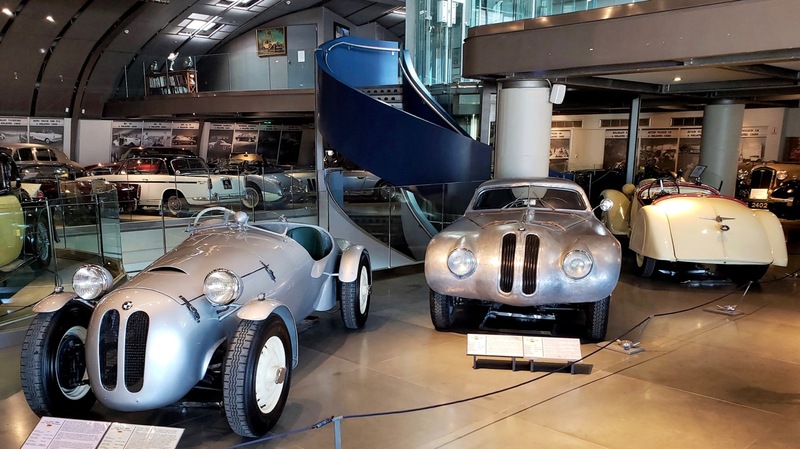 Two classic racing BMWs are in one area, above,: a tiny ’38 Frazer Nash BMW 319/1 ‘Willis’ recreation (left), and an unrestored 1939 BMW 328 CA.MO.There are three levels of vehicles, from Ferraris at the bottom to Bugattis on top, with Porsches in the middle. He got interested in the design and mechanical side of cars, as well as racing them. A Jaguar followed a ‘67 Triumph in 1977 and, by 1990, he had 25 cars. That was “too much for one person,” he said, until a Greek collector with another 25 called with an offer. Two years later, Charagionis added them to a growing collection and made a decision. 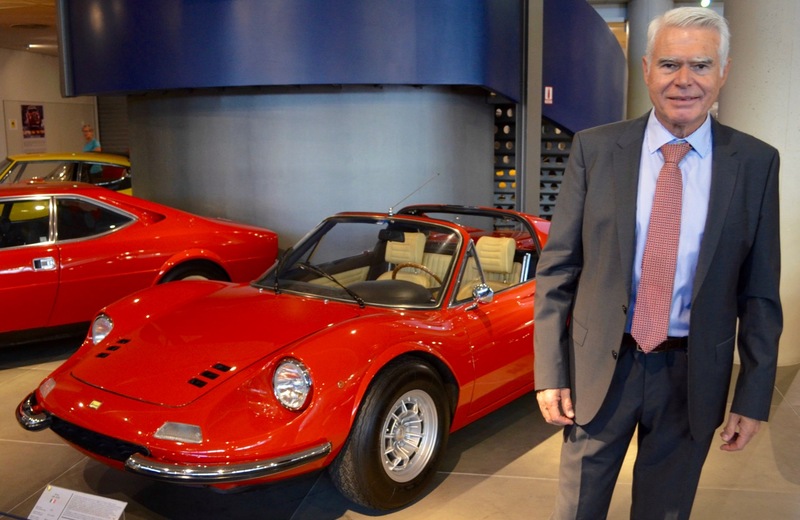 “Instead of collecting cars I like personally, I started collecting cars that could educate Greeks who had not seen interesting cars because of the taxation,” he said. “So I was collecting everything. I would like to make it as broad as possible.” The decision to build the museum was made, as was placing it in the heart of Athens. Opened in 2011, the modern facility is a block from the National Archaeological Museum and the historic Platia Syntagma fountain in the heart of Athens. There are 72 wheels in a spiral ramp display, then a 323,000-square-foot museum with room for almost 300 vehicles on three levels To honor Porsche’s 70th anniversary, an assemblage of the German sports cars, above, includes an (left to right) early 911 under restoration, plus another 911 and two 356s. Walking around it, Charagionis shows the current display, which rotates among his 350-vehicle collection. 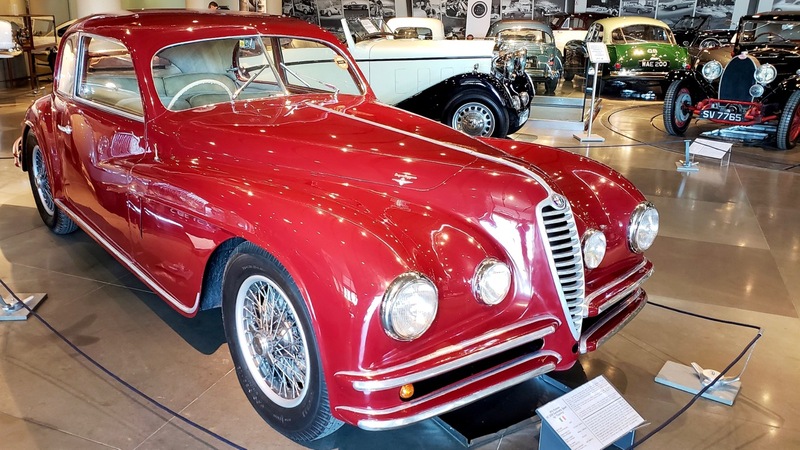 A curvaceous ‘47 Alfa Romeo 6C 2500, above, is parked in the center of one floor, one of many members of that Italian marque in his collection that also includes a V-8 Montreal, Junior Zagato, 2600 convertible and coupe and “very special” Giulia GTA. Two Jaguar E-types are close to a pair of Lancia Appia Zagatos and two Austin-Healey 3000s. 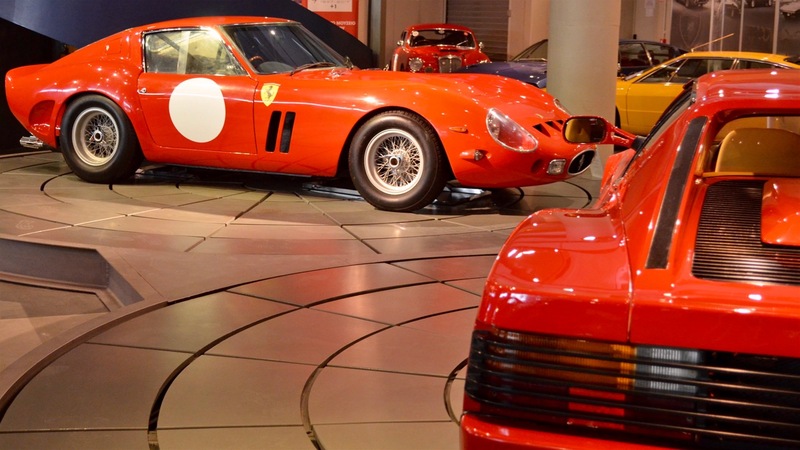 Part of his current Ferrari 70th Anniversary display is a ‘74 Dino with 195-horsepower, 2.4-liter V-6, a favorite. “It was illegally imported to Greece, so I took it in an auction,” he said. “It’s a fantastic car and I believe it is one of the best-designed cars all-round. They say it has feminine lines.” Many more Ferraris nearby include a 250 GTE 2+2, 512BB Boxer and a ‘62 Ferrari 250 GTO (recreation), below. The oldest vehicle on display is a horse-drawn 1895 Hunnia fire pump, next to a 1906 Ford Model N Runabout with a 6.3-horsepower motor. The biggest classic is a 1918 American LaFrance two-seat speedster, below, powered by a massive 14.5-liter engine. It was built in Elmira, N.Y. 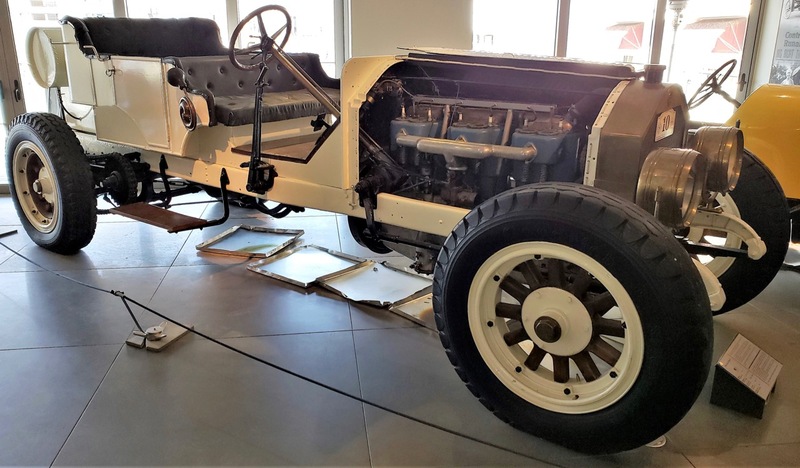 Nearby and delicate in form is a ‘26 Avion Voisin Roadster C4 with 55-horsepower and an aluminum boat-tail body. 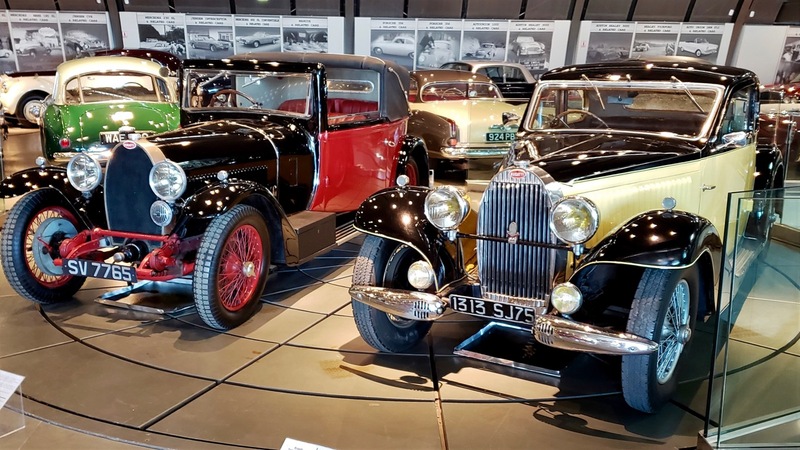 A formal red and black ‘30 Bugatti Type 44 DHC is paired with a ‘34 Bugatti Type 57 Ventoux Coupe, below, near a sleek Delage D8 15S Drophead coupe. 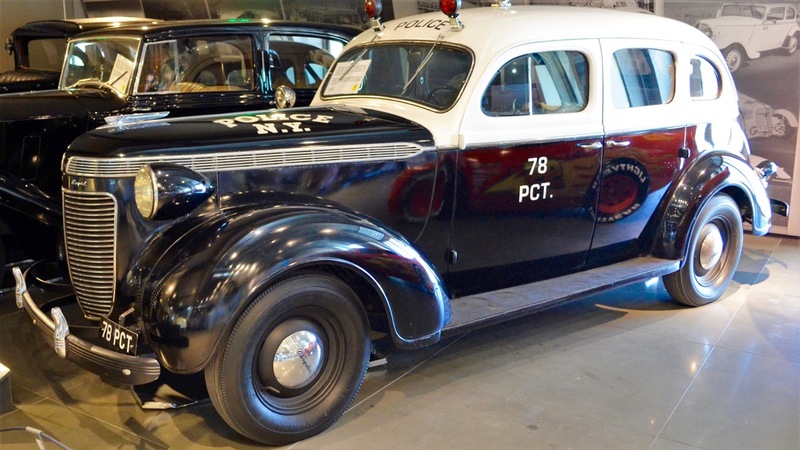 There are eclectic choices as well, below, like a ‘36 Chrysler Royale repainted as a New York City police car for use in a Captain America film. 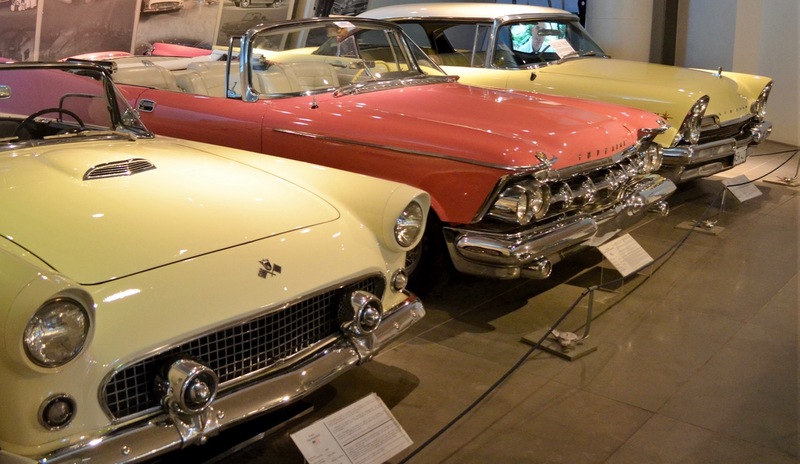 Other American icons include a pink ‘59 Chrysler Imperial Crown convertible, ‘55 Ford Thunderbird and a ‘57 Lincoln Premier. There are Greek-made cars there like a three-wheel ‘80 Tzen Tonako microcar, and a boxy ‘74 Namco Pony built in Thessaloniki. And he points out other great car designers and builders who were Greek, like Alec Issigonis (designer of Mini) and Jean Daninos (Greek-French founder of Facel Vega). 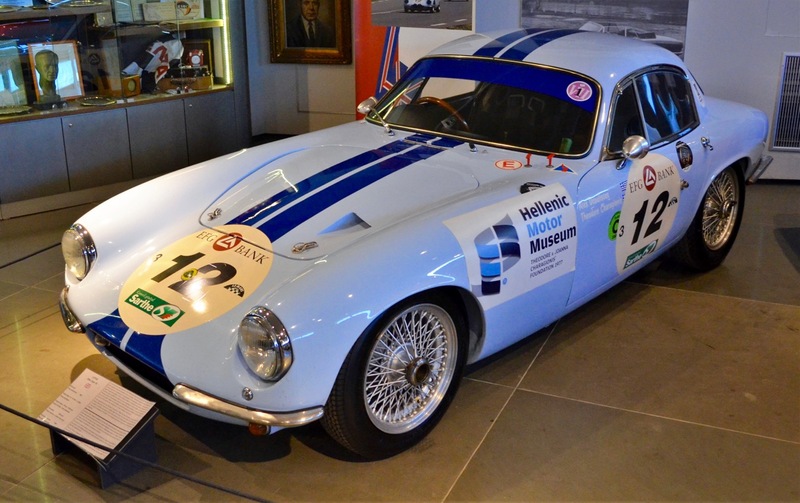 “Concerning history and inspiration, my best racing successes are with the ‘61 Lotus Elite, below, the one upstairs” he said. The museum’s displays rotate, currently spotlighting anniversaries like Ferrari, Porsche and Lotus, with 70th anniversaries of some “very mouthwatering cars” later this year – Zagato and the Jaguar’s XK120. Words & Photos: Dan Scanlan.